Done in the style of several other Coca-Cola signs, this sign measures 48″ by 96″. The sign’s value always depends on the phrasing. 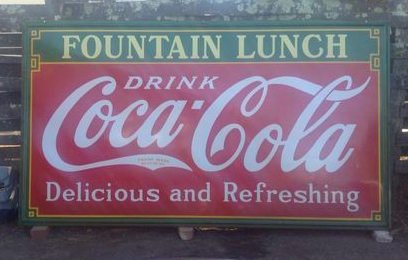 This particular sign reads “Fountain Lunch, Drink Coca-Cola, Delicious and Refreshing.” The sign is red and green with white text.